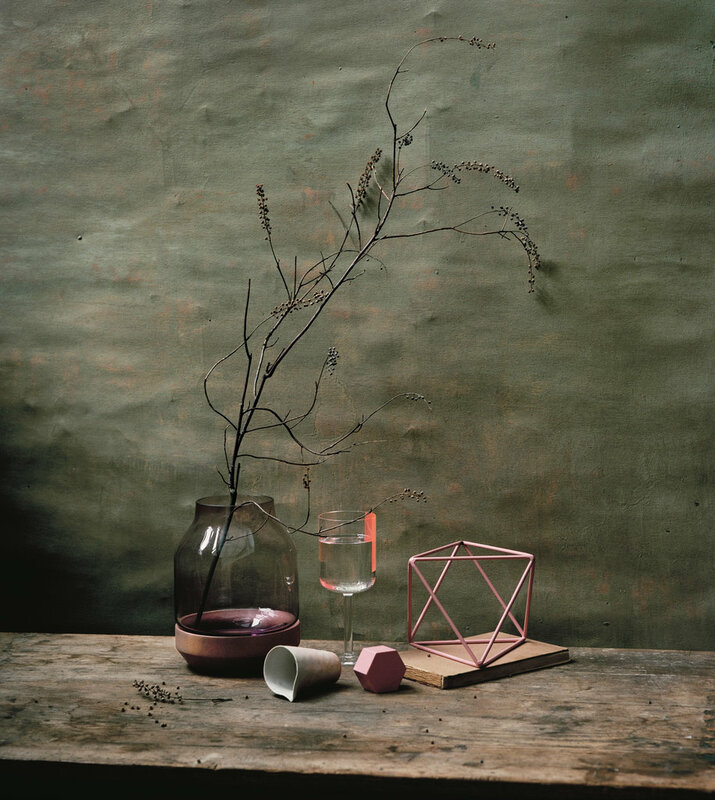 The edges of modern design are softening this season with delicate hues in the palest of pinks.Clockwise from left: Thomas Bentzen for Muuto Elevated Vase, $119; dwr.com. Scholten & Baijings for Hay Colour Glass, $42; aplusrstore.com. Eric Trine Small Octahedron, $32; erictrine.com. Iacoli & McAllister Hex Weight, $36;iacolimcallister.com. Bjarni Sigurdsson Ash Cloud Ceramic Creamer, $45; abchome.com. Gustavian game table;dienstanddotter.com. Photographs by Joss McKinley. Styled by Noemi Bonazzi. Market editor: Monica Khemsurov. Clockwise from left: Crate & Barrel Cameo Sparkling Wine Glass, $15; crateandbarrel.com. Space Copenhagen for &Tradition Copenhagen Pendant, $400; vertigohome.us. Fort Standard Standing Bowl, $110; fortstandard.com. Kate Spade Saturday Glazed Plate, $12, and Glazed Mug, $10; saturday.com. Photographs by Joss McKinley. Styled by Noemi Bonazzi. Market editor: Monica Khemsurov.